MUTV Sports show during the 2011-12 fall and spring semesters. Donnie Dwyer was producer, editor, graphics creator, and talent. Shawni Smith and Adam Ballent was analyst and Mark Freund was Hot Box Insider. This show covers wide variety of sports topics and breaks down sports plays to enhance the viewing community. (AP) – Marquette freshman and key point guard recruit Duane Wilson will redshirt this season because of a left leg injury. Wilson missed most of the preseason after sustaining a stress fracture in mid-October. 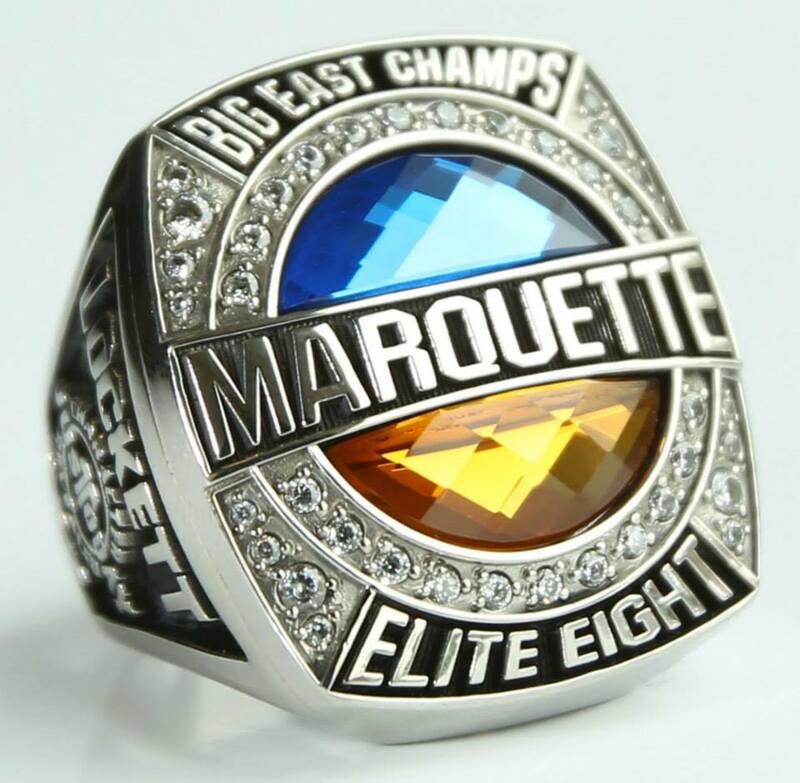 Marquette announced the move Friday and said Wilson only recently returned to practice on a limited basis. The Golden Eagles (7-5) play their final nonconference game Saturday against Samford before opening in the new-look Big East on Tuesday at Creighton. Good news coming out of the NBA Summer League in Orlando for Marquette Basketball fans. 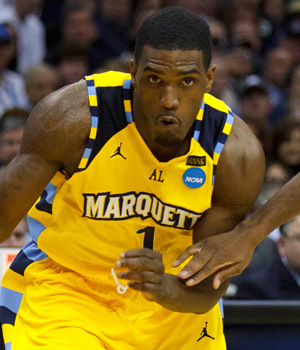 Undrafted out of Marquette in 2011, Buycks was voted as the top AAU player in Wisconsin during his senior season in high school. He then attended junior college at Indian Hills before coming to Milwaukee in 2009. After his playing days as a Golden Eagle, Buycks has played in the NBDL along with the French and Belgium leagues. 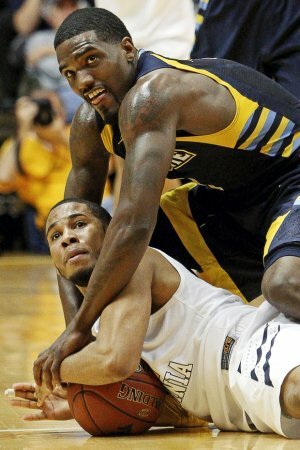 He was named to the D-League’s all first rookie team. Currently playing for the Oklahoma City Thunder in the Orlando Summer League for the second straight year, the six foot three combo guard is scheduled to participate in the Las Vegas Summer League. In 2012, Buycks averaged 15.1 points, 2.6 assists and 1.2 steals on 49.7 percent shooting during his stint in the D-League. Darius Johnson-Odom says he knows what the Knicks need. 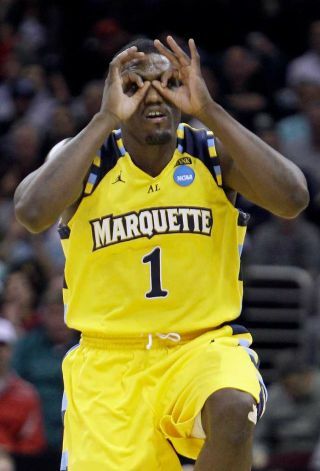 The former Marquette star worked out for the team on Thursday and said he was more concerned with bringing intensity on the defensive end than with showing his offensive skills to head coach Mike Woodson and company. A natural two guard, DJO averaged 18.5 points and 3.5 rebounds last season for a Marquette team went 27-8 overall, 14-4 in the Big East and lost to Florida in the Sweet 16. With Shumpert sidelined until December or January with a torn ACL, DJO is hoping the Knicks might use their No. 48 pick on him with the idea that he might be a similar kind of physical, defensive-stopper on the wing. DraftExpress.com calls him the No. 47 prospect in the Top 100 this year. The Knicks enjoyed great success this season with another Marquette product when Steve Novak led the NBA in 3-point efficiency. Still another Marquette product, Dwyane Wade, went off for 41 points when the Miami Heat ousted the Indiana Pacers in Game 6 of their series Thursday night. The Knicks have auditioned a slew of point guards this week, including Tu Holloway (Xavier), Scoop Jardine (Syracuse) and Scott Machado (Iona). “[Shumpert] is a little bit taller than me,” said the 6-2 DJO. “I think we do have athletic ability, the effort he plays on defense. That’s all I can give you. DJO has already worked out for the Philadelphia 76ers and at the Nets free-agent combine and still plans to attend the Minnesota Timberwolves combine, a workout with the Detroit Pistons and the Chicago Pre-Draft combine before other individual workouts. 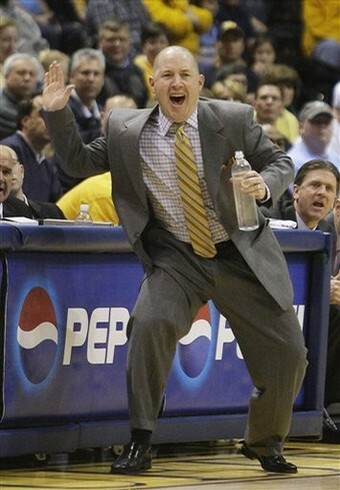 DJO remains in constant touch with Marquette coach Buzz Williams for support.